A miscellany of country customs, sayings, dialect words, rhymes, games, village memories and recipes. Those who do not know its beauties think of Lancashire as a dour and grimy county peopled by taciturn factory workers who speak with a strange and comical accent. Little has been done on television or in modern literature to change this image. We who were born in Lancashire or have come to know the county well appreciate its infinite variety — its fells, rivers and moorlands, sandhills and city skylines, great agricultural plain, fishing fleets and industry. We remember it as the cradle of modern education and walk its footpaths which skirt the woodlands and gracious homes. We recall, too, the people of Lancashire — hard-working, no strangers to poverty and hunger, but always resilient. Times, however, are changing. There is need not only for the conservation of the countryside but also for the preservation of village memories so we shall not forget the characters who lived in Lancashire, the things they said, celebrated, played with, enjoyed or suffered. We need a record of their speech which had humour, dignity and imagination. 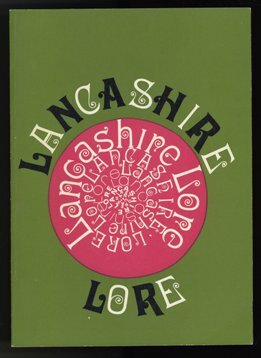 For this reason the Lancashire Federation of Women's Institutes asked its members to write down their homely recollections which can now be classed as folk-lore. The result, which I was asked to edit, is a real Lancashire hot-pot of things remembered. Some are funny, some odd, some — the simple joys — almost pathetic because they have been swept away in the new sophisticated age. These memories I have tried to pass on in the form in which they were submitted. Dialect has been spelled as it was sent in although there may be variations of spelling the same word in different parts of the county. Naturally there was some duplication and where village customs such as those common at Easter, on Royal Oak Day, at the church gate or on New Year's Eve have been sent in by several WIs, probably only one or two mentions have been made. The response, from nearly 60 Institutes, has been heartening and it is hoped that in the pages of this Booklet you will find something to make you — and perhaps your grandparents — smile and agree "That's reet. That's Lancashire".